Exploring about the bush in the Outback enables you to see all sorts of amazing wildlife and landscapes you just can’t appreciate when you’re stuck in the city. One of the best hobbies you can combine with expeditions out in the bush is photography, and hunting for the perfect shots is all part of the fun. If you can stretch the budget to a Mercedes Benz GLE SUV Diesel, then you have a great way to get about, even when the conditions turn nasty. Built for tackling tough terrain, the new big GLE SUV from Mercedes is stunning to look at and even better to drive. It’s not hard to throw the entire luggage you’ll need for a week away in the GLE SUV Diesel; boasting as much as 690 litres with the rear seats up and in place is large enough in itself. Of course, if it’s just you and another, the two rear seat rows can be folded flat to make a perfect platform for sleeping. When these rows are folded fully flat the luggage space grows to a cavernous 2010 litres – and that’s hard to match this side of a bus! 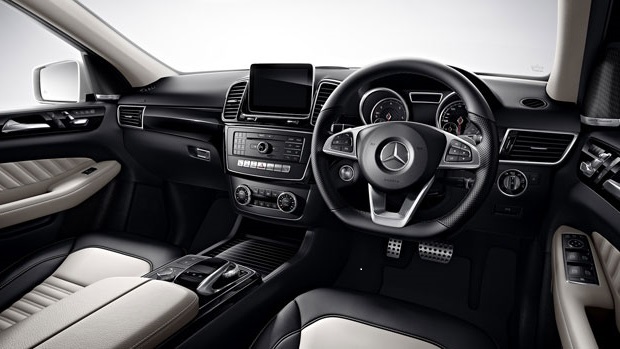 Inside, the new Mercedes Benz GLE SUV Diesel offers the very best in luxury cabin comfort and refinement. It is very easy to leave behind the cares of the world in this sort of vehicle, and head away on a great outdoor adventure. In the new Mercedes Benz GLE SUV, you can settle into the familiar warmth and comfort of the electronically controlled, heated leather seats. Zoned climate air-conditioning allows any occupant inside the Mercedes Benz GLE SUV Petrol to experience an even temperature suited to their own individual tastes. The auxiliary input jacks situated at the front and rear of the cabin can engage occupants with entertainment and work-related accessory electronic devices. These outlets are also perfect for running some gadgets like a laptop or an iPhone when you’re settled in the back of the GLE on a mattress. On the journey the kids, or adults, can watch a DVD via the in-built screens in the rear of the front headrests (Optional). Electronically adjustable rear seats are also an optional extra. Equipped with all the best safety features, you can rest assured you are travelling in a very safe large SUV. The new Mercedes Benz GLE SUV Diesel provides a premium Collision Prevention system which gives the driver a visual warning if the distance to the vehicle in front is too small and an audible warning if there is a danger of impact. The driver’s braking action can also be supported, and if the driver fails to react, the vehicle speed can be autonomously reduced. Another amazing feature is the Attention Assist system which recognises typical signs of fatigue and will issue visual and audible warnings when the system detects these signs in the driver. I wish they had this on the old van I travelled to work in. The driver of the van was occasionally seen to be dropping his eyelids while travelling down the open road. Needless to say, we were the audible warning system! 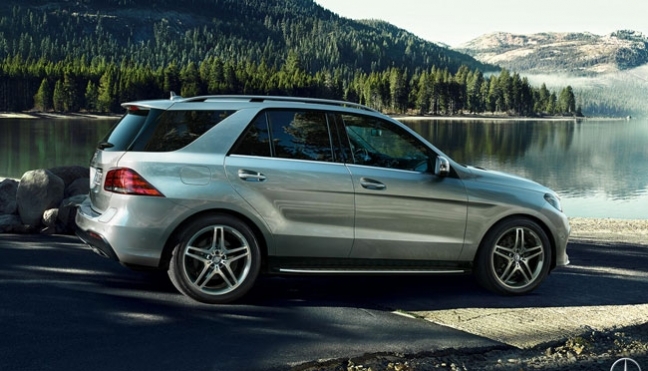 One other superb safety feature that you’ll find standard on the large GLE SUV is that of Hill Start Assist. The Hill-Start Assist function can keep the vehicle stationary without having to maintain constant pressure on the brake pedal when starting off on an incline. Safety is also enhanced by Adaptive Cruise Control, while exterior cameras are situated at the rear to make parking in tight places a breeze. Of course, there are also Parking Aid systems, too. Out on the open road, the Mercedes Benz GLE SUV sits beautifully in control, and the vehicle feels very safe and solid. Ride quality and comfort is excellent, while the grip on corners is also outstanding. Smooth gear changes and plenty of power helps to make the drive in the diesel versions both rewarding and efficient. The new Mercedes Benz GLE SUV Diesel has a “dynamic select” system which allows drivers to choose between five different drive modes, ranging from “comfort” mode through to the full-on “sport plus”, and the all-new GLE SUV is fitted with Mercedes’ 4MATIC all-wheel drive system. This system channels their copious engine power through a 9-speed automatic gearbox. Seamless gear changes provide optimum power and efficiency. There are two diesel engines available for you to choose from. The 4-cylinder, 2.1-litre motor provides a very healthy 500 Nm of torque between 1600 and 1800 rpm – more than some sports cars can muster. With a power output of 150 kW available at 3800 rpm, this model feels quick and flexible whatever the revs. Mercedes say that the GLE 250d 4Matic can complete the 0-100 km/h dash in less than nine seconds, while high speed travel is effortless. The other unit available is in the 6-cylinder, Mercedes Benz GLE 350d 4Matic; a big step up in power sees 190 kW and 620 Nm of torque available. It’s quicker and more aggressive to drive. If you are on the lookout for a very luxurious large SUV, the nicely designed GLE should be on your priority list. For any more information on the Mercedes Benz GLE SUV Diesel models or, for that matter, any other new car, contact one of our friendly consultants on 1300 303 181. If you’d like some fleet discount pricing (yes even for private buyers! ), we can submit vehicle quote requests out to our national network of Mercedes Benz dealers and come back with pricing within 24 hours. Private Fleet – car buying made easy!